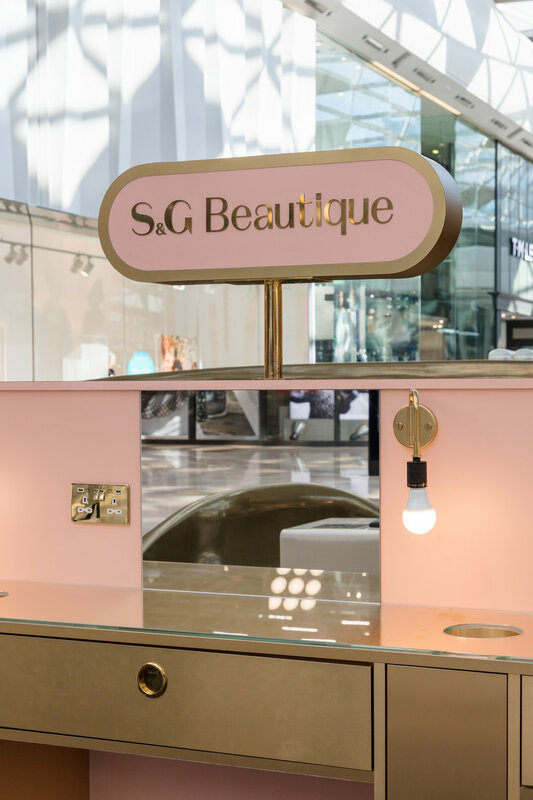 Our second commission for a prominent Westfield site was a new beauty bar at the entrance to Westfield London’s £600 million expansion. 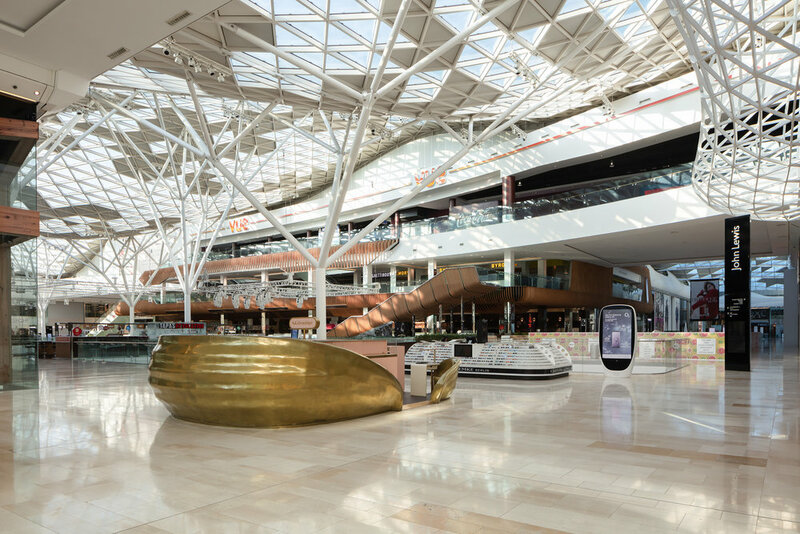 The expansion has made it the largest shopping centre in Europe, and so our design needed to stand out from the crowd. 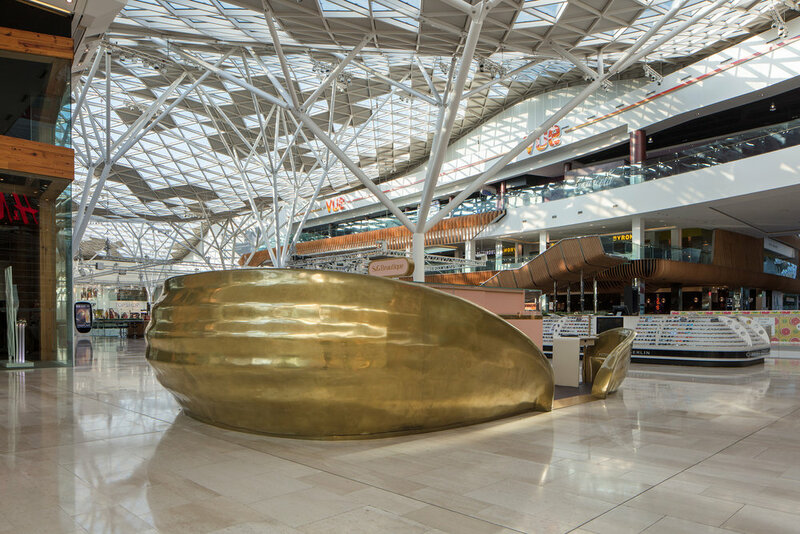 We created dramatic, shell-inspired cocoon in lustrous brass to house a range of treatments. We chose to move away from the conventional, white, clinical look and instead embrace colour, warmth and drama. 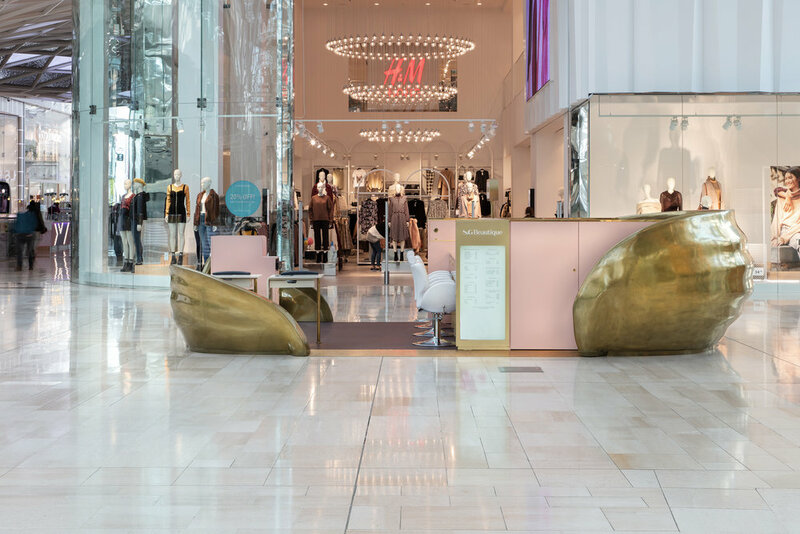 The free-flowing, lustrous brass cocoon that we created is inspired by the natural form of a shell, and its associations with beauty through Boticelli’s iconic painting The Birth of Venus. 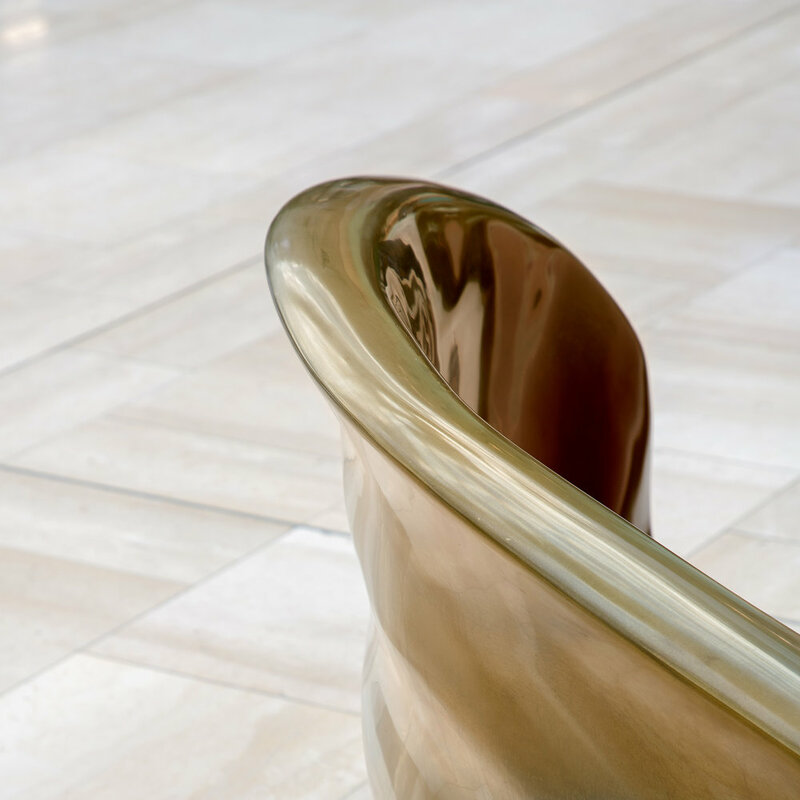 We found a method to achieve such a high level of sculptural detail while maintaining a finish that is 75 percent real brass through intensive research and development, relentlessly pushing the limits of our materials. The lustrous exterior is complemented by a soft palette of dusty pink hues in the interior to exude a sense of luxury. 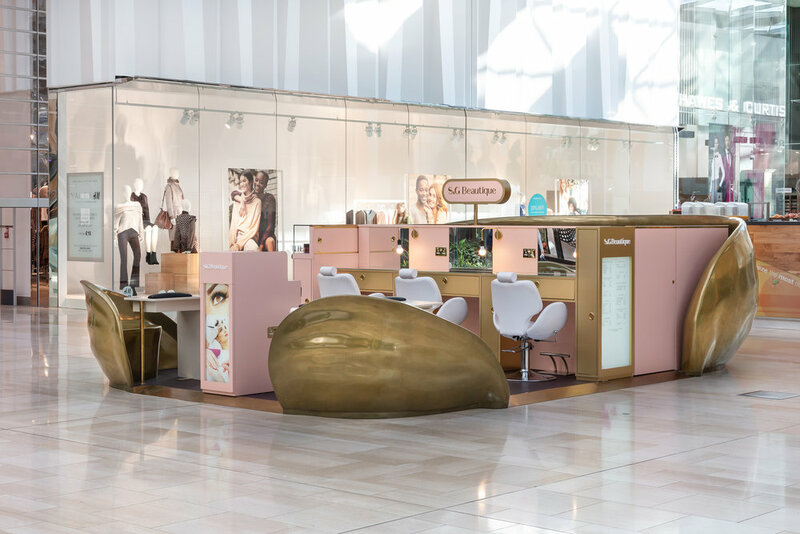 The shell-like form, which opens like a break in a wave, provides privacy and comfort for a range of treatments, maximising on space and utility within the limited footprint of six by four metres. 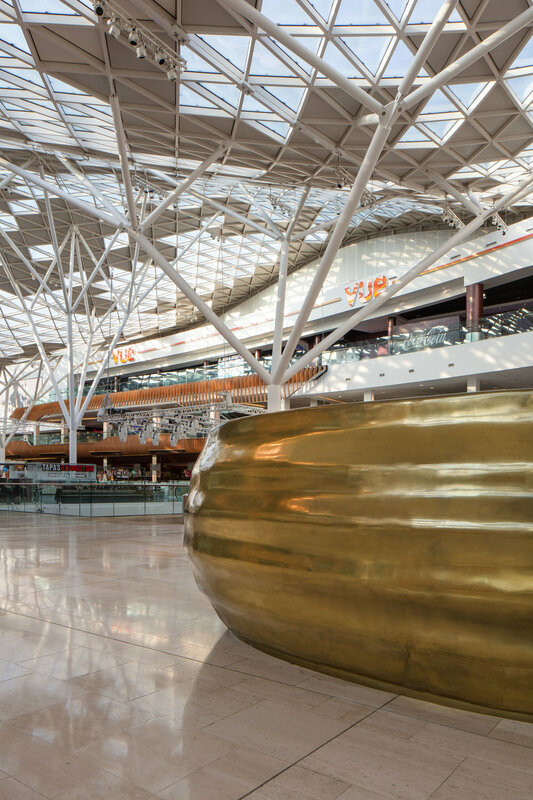 For example, the surround sculptural walls are designed to have a secondary function as seating.